Home In Depth What happened to… Jonathan Woodgate? What happened to… Jonathan Woodgate? Jonathan Woodgate will perhaps go down in Real Madrid history as one the most unlucky players to have played for the club. 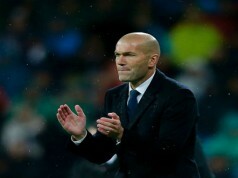 The Englishman was at the Santiago Bernabeu for three years, but only made 14 appearances for Los Blancos, thanks largely to a series of injuries. Now with his hometown club Middlesbrough, the 33-year-old admits he does not like talking about his experience in the Spanish capital, despite playing alongside the likes of the legendary Zinedine Zidane and Ronaldo. He says he says his time at the clubs has so many “what-ifs” that he doesn’t like to look back. In the early days of Woodgate’s career, it looked like he would emerge to be the sort of central defender England had needed for years. A tough, but classy ball playing defender. Having been spotted playing at Marton FC, he was coveted by Manchester United and a host of other big clubs. He chose Leeds, and was one of the core group of players that lead the side on the rise to an eventual semi final appearance in the Champions League in 2001. The journey was not without its bumps along the way, and Woodgate was convicted of affray and sentenced to 100 hours’ community service for his part in an incident in which a student was left severely injured outside a Leeds nightclub. Things at the club had also began unraveling, as it emerged the big money signings had been made on the assumption the club would qualify regularly for Europe’s top competition. It didn’t and the stars had to be sold off as the debts at the Elland Road club increased. Woodgate was sold to Newcastle in January 2003 and it was there his injury problems began. He suffered a serious knee problem in his second season and had to sit out much of the campaign as the Magpies were dumped out of the UEFA Cup at the semi final stage. Woodgate made a surprise switch to the Santiago Bernabeu in the summer of 2004 with many pundits seeing it as a gamble by the club seeing as his fitness could not be guaranteed. It would be more than a year until the defender would make his debut for the club, at home to Athletic Bilbao in September 2005. It was a disaster. He scored and own goal and was sent off-although the sympathetic home crowd gave him a standing ovation. He recovered from the poor debut to make himself the stand out defender in the team for a while, but the injury curse struck again in 2006. The Englishman, who speaks fluent Spanish, moved back to the Premier League and to his boyhood club Middlesbrough. In 2008, he signed for Spurs where he scored the winning goal in the Carling Cup final to secure the only major silverware in his career. 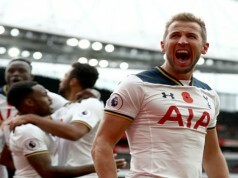 But injuries again played their part and he missed large chunks of his time at the north London club. After a year at Stoke, he’s now back at the Riverside stadium and enjoying being home. Inevitably, Woodgate is always asked about the infamous debut at the Bernabeu. Rather than feel ashamed, he says it was a highlight of his career. “To be honest, that was a good point in my career because I was fit again and the fans even clapped me off. Ronaldo came up to me after the game and said, ‘No, don’t worry about it. You are playing,’ and I said, ‘Yeah, you’re right.’ We won that game 4-1. It might have been different if we had got beaten. 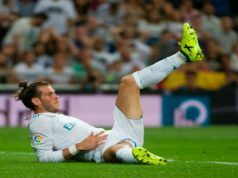 Gareth Bale Set For Spurs Return?